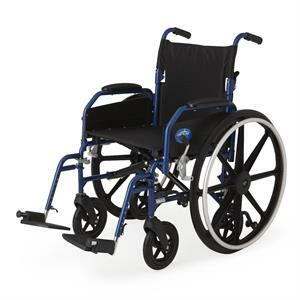 Combination wheelchair and transport chair. Comes with the transport wheels already attached to the chair. You simply remove the large wheel and stow until standard chair mode is required.